​Asthma attacks can occur suddenly without warning, but living an active lifestyle is still possible with the condition. The Department of Respiratory & Critical Care Medicine at Changi General Hospital shares tips how to. ​is ranked the second largest respiratory disease in Singapore, affecting five per cent of adults and 20 per cent of children. 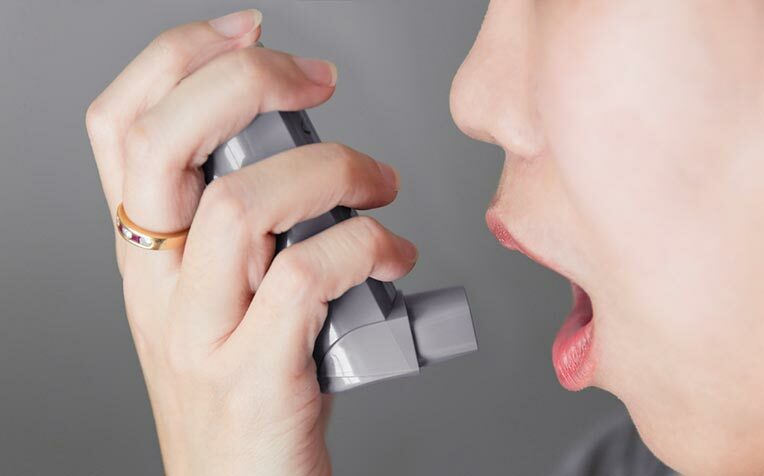 The Department of Respiratory & Critical Care Medicine at Changi General Hospital (CGH), a member of the SingHealth group, shares tips on how to alleviate asthma symptoms and still lead a healthy, active life. Wheezing? Coughing? Tightness in the chest? Shortness of breath? These are some tell-tale signs of an asthma attack. They also signal the immediate need to whip out the inhaler – the trusty asthma aid – to relieve these symptoms. Asthma attacks can occur suddenly with no warning. As such, sufferers need to keep acute medications – treatments taken at the onset of an attack – in case of such emergencies. In the Singapore Disease Burden Survey, asthma is ranked the second largest respiratory disease in Singapore, affecting five per cent of adults and 20 per cent of children. Asthma is a chronic respiratory condition marked by inflamed airways and lungs during an attack. This narrows the passage for air to pass through from the nose and mouth to the lungs, which makes breathing difficult. The condition affects people of all ages, and it often starts during childhood. However, adults who have never had asthma may develop occupational asthma. This condition occurs when adults who have not had asthma get an attack because of the type of work they do. Asthma attacks can also worsen due to work environment triggers. These are known as work-aggravated asthma. Every asthmatic person has different triggers that would worsen their asthma symptoms or bring on an attack. It would be ideal to identify the specific triggers and avoid them. Common triggers include dust, pollen, mould, smoking, air pollutants, allergic reaction to animal fur and even stress. It is important to remember to keep your rescue inhalers with you at all times as attacks can occur suddenly. Severe asthma attacks can cause oxygen levels to drop and even your heart to stop beating. In worst cases, it may even lead to death. Practise using your inhaler with your doctor or asthma nurse. Learn the proper techniques in using your medications. Managing the condition is necessary to ensure attacks do not happen. This includes seeing the doctor for treatment and taking maintenance medications to control the disease. Asthma: Having an active lifestyle is possible! A common myth and misconception that many have about asthma is that having the condition prevents you from exercising. Being asthmatic is not an excuse to stop leading an active and healthy lifestyle. Much of asthma treatment is grounded on prevention. With proper management and compliance to treatment, asthma can be well controlled, allowing those with the condition to lead a quality, active life. There are many professional athletes who are asthmatic, but that has not deterred them from participating and winning in national and international sporting events. A study by the University of Western Australia has shown that asthma is the most common chronic condition in Olympic athletes with eight per cent of them suffering from it. If you would like to start exercising, check with your doctor which are the activities that would suit you; for example, low-impact activities such as walking or swimming. Maintaining an active lifestyle is also beneficial to those with asthma. And always bring your medications along with you. Apart from this myth that leading an active lifestyle is not possible with asthma, what are other common myths about asthma? Click the link to find out.